This book charts the history of the Golden Guernsey goat, both on the island of Guernsey and following its importation to the mainland, as well as details of all the British Goat Society awards up to 2010. Amongst many others, there are articles on Artificial Insemination, the problems of grading up to BG in the USA, Genetics, showing in the last decade, as well as the TB outbreak of 2008 that affected Golden and British Guernsey herds so badly. 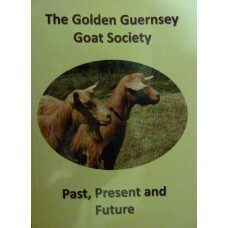 The BGS Vet has written about both the past and the future, insofar as they affect the Golden Guernsey goat.